You are here: Home / CFL/League / Lions add Lin-J Shell to the fold. Jamall Lee calls it a day. Lions add Lin-J Shell to the fold. Jamall Lee calls it a day. The BC Lions have kept themselves in the news this off-season and they achieved that once again Monday with news that running back Jamall Lee retired and that the team had signed two time eastern all-star Lin-J Shell to a free agent contract. 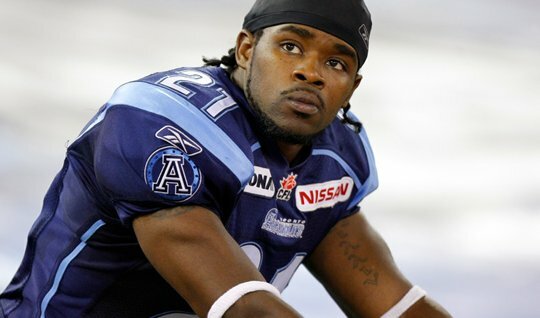 Shell had been released by the Toronto Argonauts earlier in the off-season. Opinions are varied as to where that leaves the Lions’ own two free agent defensive backs. The Province’s Lowell Ullrich feels the signing could have a an impact on the re-signing of the Dante Marsh and Ryan Phillips while tweets by TSN’s Farhan Lalji indicated that Marsh may be close to a deal with the club and that Phillips remained a real possibility. Earlier in the week there was concern over the Lions letting three key free agents get to the deadline unsigned and that still may happen with no progress being reported on Aaron Hunt. But it appears as if the Lions are putting some pressure on Marsh and Phillips to accept deals that are open to both players. The signing of Shell might also spell the end of any possible return for Tad Kornegay, who the Lions released earlier as per an agreement they had when they signed him last season. Shell had 94 tackles and added two interceptions in 2011. He was a surprise early cut of the Argos this off-season who inidicated defensive philosophy and salary were considerations for the the move. “Lin-J has been a great player for us but with a new defensive scheme and philosophy planned for this season, and operating within the salary management system, he is no longer a fit for our team. We would like to thank Lin-J for his contributions and wish him continued success.” said GM Jim Barker at the time of the release. On offence and special teams the Lions were informed that 24 year old running back Jamall Lee had made the decision to retire from football, reportedly to concentrate on the field of social work. Lee has sustained injuries over the last two seasons, including a bad ACL tear in his knee. That move leaves the Lions thin at running back after Jamal Roberston retired, and the deal that sent Jerome Messam to Edmonton last season. The Lions once scary depth of Canadian running backs looks much different a year later. With Wednesday’s free agent deadline looming, don’t expect things to stay quiet in the Lions den anytime soon.